Impending False Flag in Syria? 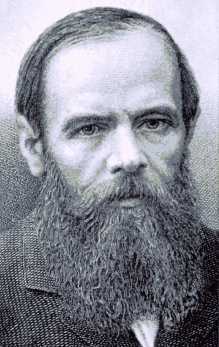 FEODOR M. DOSTOEVSKY (pictured, 1821-1881) was one of Russia’s greatest writers. The son of a physician of modest means, he had the opportunity for an education, and was trained as an engineer. He remained close to the common people of Russia, however, in the experiences of his life and in his writing. Dostoevsky was a fervent patriot, but his association with a circle of radical writers led to his arrest at the age of 27. He was subsequently sentenced to death, reprieved at the last minute, and transported to Siberia, where he spent four years in a prison labor camp. This was followed by several years as a private in a Siberian unit in the Russian army. After his return from Siberia Dostoevsky wrote a number of novels, including Crime and Punishment (1866), The Idiot (1868), The Possessed (1871), and The Brothers Karamazov (1880), all of which enjoyed immense popularity. It was his Diary of a Writer, however, published in a number of installments in the period 1873-1881 which most explicitly stated his feeling for his people and for Russia. “The news of Dostoevsky’s passing spread instantly, like an electric current, to the remotest parts of Russia, and a wave of mourning swept through the hearts of her saddened people… Enormous crowds attended his funeral: men and women from all walks of life — statesmen of high rank and downtrodden prostitutes; illiterate peasants and distinguished men of letters; army officers and learned scientists; credulous priests and incredulous students — they were all there. As much as his people loved him, Dostoevsky in turn loved them — and despised their enemies and exploiters. Foremost among the latter were the Jews of Russia. In Dostoevsky’s time there were some three million of them, some descended from the Khazars, an Asiatic tribe of southern Russia which had converted to Judaism a millennium earlier, and some who had flocked into Russia from the West during the Middle Ages, when they were forcibly expelled from every country in western and central Europe. Scorning honest labor, the Jews had fastened themselves on the Russian peasants and craftsmen like an army of leeches. Money-lending, the liquor trade, and White slavery were their preferred means of support — and their means of destroying the Russian people. So great was the Russians’ hate for their Jewish tormentors that the Russian rulers were obliged to institute special legislation, both protecting the Jews and limiting their depredations against the Russian people. Among the latter was a ban against Jewish settlement in central Russia; they were restricted to the regions of western and southwestern Russia (the “Pale of Settlement”) where they had been most heavily concentrated at the time Catherine the Great had proclaimed the ban, in the 18th century. This speculation turned out to be grimly prophetic, for only a little more than four decades later bloodthirsty Jewish commissars, who made up the bulk of the Bolshevik leaders, were supervising the butchering of Russians by the millions. Is it any wonder that, although virtually every American with a high school education has either read Dostoevsky’s Crime and Punishment or his The Brothers Karamazov (or both), his Diary of a Writer has been quietly consigned to oblivion by the controlled educational and publishing establishments in this country? The only printing of Diary of a Writer currently listed in Books in Print is one issued by a small, specialty publisher (Octagon Books) for sale to libraries and priced at a prohibitive $47.50. That price tag ought to keep it safely out of the hands of curious American readers! “And, in truth, the whole activity of the Jews in these border regions of ours consisted of rendering the native population as much as possible inescapably dependent on them, taking advantage of the local laws. They have always managed to be on friendly terms with those upon whom the people were dependent. Point to any other tribe from among Russian aliens which could rival the Jew by his dreadful influence in this connection! You will find no such tribe. 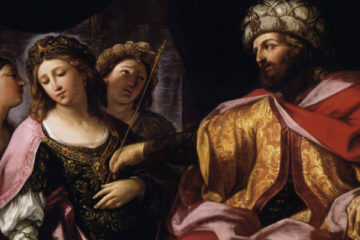 In this respect the Jew preserves all his originality as compared with other Russian aliens, and of course, the reason therefore is that status of statu of his, that spirit of which specifically breathes pitilessness for everything that is not Jew, with disrespect for any people and tribe, for every human creature who is not a Jew. . . .